We’re not ready to say “So long”….to summer! September is almost here but there are still a few warm days to enjoy. 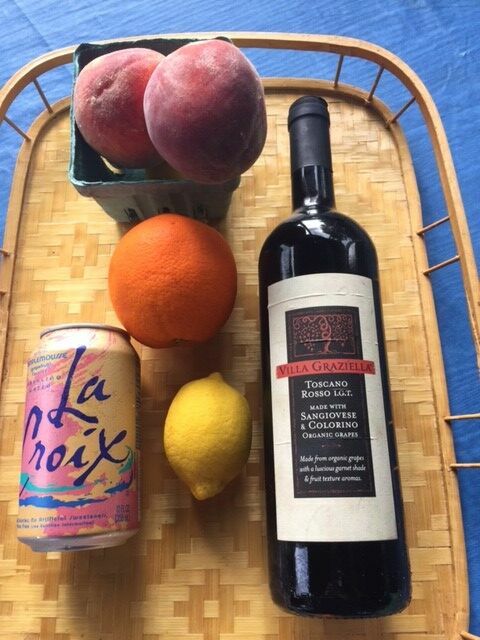 We tweaked a recipe for Spanish Sangria using artisan crafted Villa Graziella IGT Rosso Toscano red wine made with single estate, red berry rich Canaiolo, Colorino & Sangiovese organic grapes. Simple & not too sweet, no cinnamon or sugar, we used tangy citrus fruit & sparkling water for a refreshing libation. Makes 6 abundant servings. 1 can carbonated water, flavored soda water or ginger ale.